Will TV Soon Become Completely Obsolete? When one thinks of Television they typically view it as a necessity. This word was first coined by Constantin Perskyi, a Russian scientist, back in 1900. Persyki thought of the concept while working at the Artillery academy in St. Petersburg. Over time, the idea of TV became more popular. TV was first experimented with for commercial purposes in the late 1920s. It wasn't up until 1941 when the first commercial advertisement aired. During the 1940s and 1950s, most advertisements were hosted by only single advertisers. Eventually this concept expanded to multiple advertisers. By the mid-1950s, TV became the chief medium for getting information and entertainment to the public. In the 1960s, color TV revolutionized the industry and millions of people chose TV as their primary source of receiving entertainment, advertising, educational programing and even religious programming. At this time, the overall sales of TVs surged and they became immensely popular, not just in the U.S. but in developing nations as well. Once advertising became such an important revenue stream for major broadcasting companies they needed a system to figure out who exactly was watching the programming. Another predicament they faced was; what does one charge to broadcast an advertisement on a certain show? Over time, the Nielsen Rating System was adopted. The Nielsen Rating System ultimately guides American advertising rates. The time of the day and popularity of the channel determine the final cost of a TV commercial. For example, it can cost approximately $350,000 for a 15-second block of commercial time during a very popular show. The Super Bowl can easily cost several million dollars just for a commercial that lasts as little as 15 seconds. In recent decades, infomercials have gained popularity due to their convenience. Typically an infomercial can last up to an hour and offer to sell a product or service to the public. Early mornings, late nights and weekday afternoons, are often sold in bulk to producers of infomercials at far lower rates. In the mid-1990s TV advertising faced an unprecedented problem. The internet was becoming popular rapidly and began to lure the public in. Major broadcasting companies wondered; was the Internet really just a fad or was it something that would be here to stay? Slowly but surely, advertisers swarmed the Internet. 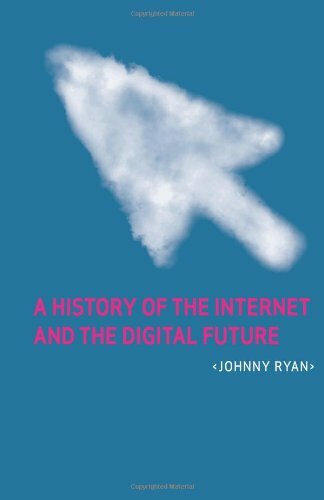 The Internet became a place where people didn't just communicate or sell products, but it also became a place to listen to music and watch movies on as well. Many companies offer various media packages where one can view TV shows, documentaries, movies, and even listen to music. Furthermore, some websites such as YouTube offered these viewable items for free. In 2011 and 2012, Internet advertising revenues in the U.S. surpassed those of cable television and nearly exceeded those of broadcast television. In 2012, Internet advertising revenues in the U.S. alone totaled a whopping $36 billion. During the first half of 2013, U.S. internet ad revenue hit a historic high of $20 billion. Over the past decade, the online advertising business slowly moved into every sector of the online market. Is it really true that TV can soon become obsolete? It is definitely a possibility, especially if Internet advertising and its overall applications continue to expand. According to a recent survey, Belkin and Harris Interactive concluded that around 30 percent of American Internet users would strongly consider terminating their cable contracts and would rather watch TV online. Currently, around 110 million Americans watch TV shows online at least once or twice a month. It is projected that over 50 percent of the American Internet population (135 million people) will be viewing programs exclusively on the Internet in the next year. Around 80 percent of the American population currently use the Internet, could they all be moving towards online media companies over the next decade? There is no doubt that the TV industry has been unique, essential, and revolutionary. It has stood tall for decades as the preeminent information superhighway and will always be remembered as that. Technological evolution and various paradigm shifts may lead to the inevitable death of the TV as we know it. Many would argue that TV still remains an important player in communications and entertainment, but this may only be due to the demand of brand new episodes of certain shows. Furthermore, live sports programming may extend the life of TV also. In the end, one must agree that once the Internet allows sports events and new episodes to air on certain online networks, TV will clearly become just another antediluvian product. True the internet is making access to certain shows easy but I don't think it will boot out actual televisions. One of the main reasons being that not every can afford a computer yet alone high speed internet. However; TVs aren't just for watching shows and movies. There are people that own home consoles which require a television to be hooked up to. Still a pretty good article.